Secret societies of Mystara, what have you heard? I would like to compile a list of secret societies of Mystara. If you know of any mention in canon and/or fanon, please let me know. I'm actually researching their locations and areas of interest. I'm planning on writing one of my own but I don't want to reinvent the wheel if I don't have to. But, whose to say that it might not help someone else along the way. Re: Secret societies of Mystara, what have you heard? Such a list would be very useful, especially if it comes with references and page numbers to sources. The Fan created GazF8 Landfall Gazetteer has a list of Thieves Guilds and criminal organizations from various gazetteers etc as well as new fan created ones. That might be a good place to start! Canon includes several secret or semi-secret societies in Glantri, such as the Brotherhood of Radiance, ELF, FAIRY, Thousand Fists of the Khan, etc. The Glantri Gazetteer is quite specific on the secrecy and legality level of each society. Also, the Orders of the Inheritors in the Savage Coast are societies the level of secrecy of which is not entirely specified. See the Savage Coast books on the Vaults of Pandius. Most Thieves' Guilds (such as the Shadow Hand in Thyatis) are also secret to some extent. The Gazetteers of Karameikos, Glantri, Rockhome, Minrothad, Ierendi, and DotE all include Thieves' Guilds or similar groups. The Thorns are a dwarven secret society in Rockhome. See the Gazetteer of Rockhome for details. 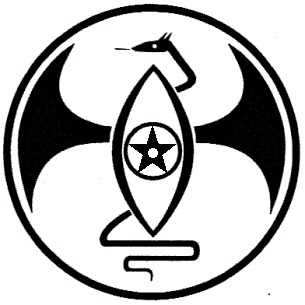 Almost-canon societies include those created by Bruce Heard for the Heldannic Knights and Alphatia. You'll need to scour the articles on the VoP and Bruce's site for these. Fan created societies include many Thieves' Guild-like groups in Landfall in the F-GAZ for that region ("The Streets of Landfall"). The Bleak League is a fan-created Thieves' Guild in Hule. I've created the Brotherhood of the Woods as a collection of individuals opposing the Black Eagle's crimes in Karameikos. A long article on espionage groups can be found in the Tome of Mystara. 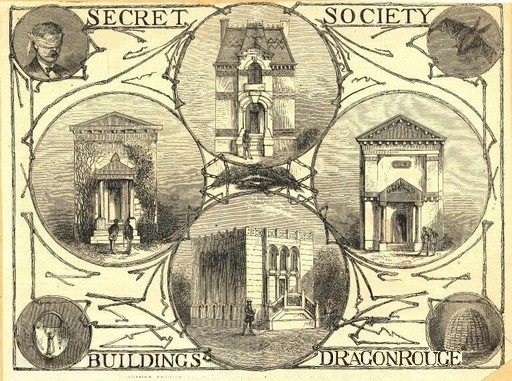 I've probably forgotten a cartload or two... just search on the Vaults of Pandius for "secret society". The Lighthouse probably counts as a secret society in the Hollow World. 3) Elitist organisations (i.e. those about personal power for the few); e.g. the seven secret crafts of Glantri. Some organisations will fall into multiple categories, and we may need more categories, but I think it a useful way to control your informaiton flow. Last edited by Robin on Tue Jan 15, 2019 10:18 pm, edited 1 time in total. This secret society was more like a religious cult, in that the members all acknowledged Jammadaru the Slime lord. The Cult arose in the early FWA years, and at that time it was only a society for the rich and obscure Necromancers and Lycanthropes. In those days most members were not even mages, and included fighters, thieves, and even clerics. Suffering severe losses in the 40 years war, new members were sought for in the new Great School of Magic, in the decades thereafter. Then in the year 845AC Albion McDratt became a student in the School. He was a social reject, yet still offspring of an important Princely family. Unbeknown to the parliament and the commoners, many of this family were clerics of an obscure Humanoid Immortal growing in power; Jammadaru the Slime Lord. With ingenuity he gave the McDratt family and other followers the ability to learn new spells (he also did this with humanoids in the Broken Lands but these took much more time to grow in importance and use, that even today, they aren’t well recognized as being important), and become dual classed Cleric and Mage, a blasphemy in the eyes of the Glantrians, if they would know. Albion created Dragonrouge society in the same year he entered the GSM. He used knowledge of the secret chambers to be used as a base for all interested members, and created several other locations. Intrigue, political division, theft, violence, and even outright murder gave these members open places in the Glantrian Political system. Albion McDratt learned both magical and clerical magic, and became a powerful Prince and secretly the head of the Dragonrouge society; a society were only power was important. This became the way for the society to rule, and in public life, politics, and beyond, the followers used this power openly and in secret to attempt to gain what they desired. The employed weird initiation rituals were blood and violence, and most heinous of acts were allowed by the higher members. All women for example were nothing more than slaves and toys. Until that specific day in 885AC, when some viewers discovered the magic some of the more important members were not magic, but clerical instead. They reported this to the local authorities. The Princes opposing the political members of the society saw this as a great opportunity to suppress these violent powerhunger idiots (as such being recorded in files). One by one they were killed, arrested, tortured or magically drained of information of other members. In the year 895AC all powerful members and their cult one by one disappeared. All their secrets forgotten, or stolen by the Great school of Magic (like aquatic spells of the Slimelord or the (in)-famous) Volholm the wet Mage see Hydromancer spells). It is unknown if there are still some members alive, but if so, they are in utmost secrecy, low in number and without any real power, and a dreaded desire to remain hidden since there is a death sentence upon being member of this society, due being destructive to the safety, and social, and political environment of the Principalities of Glantri. A note from the writer; this cult is mimicked on the variant cults of the Yale University (Skulls & Bones, ΔΚΕ, Scroll & Key, Wolf’s Head and ΨΕ) and dangerous sects (like all Real World religions were in the beginning, but mostly the Branch Davidians, Jonestown, Scientology) where I merged these together as one. Yet the same secrecy, political intrigue and mischief are happening here like in the real world examples. Two GSM based adventures are centered on this group in the above mentioned book on the same page. Years ago, James Ruhland and I wrote an article about espionage organisations in Mystara (and this would encompass secret societies) for the former Tome of Mystara magazine. You can read it here. This article is an inventory of societies; the original article where I laid out some guidelines for incorporating espionage into a campaign can be found here.